Shingles have long been America’s most popular roofing material, but that doesn’t mean they’re all the same. In fact, today’s manufacturers have developed a wide palette of shingles that can meet virtually all construction and color requirements. BUILDING CODES—In some neighborhoods, local law codifies roof types. Similarly, many communities restrict the number of shingle layers they allow on a home before requiring a complete tear-off for a new roof. 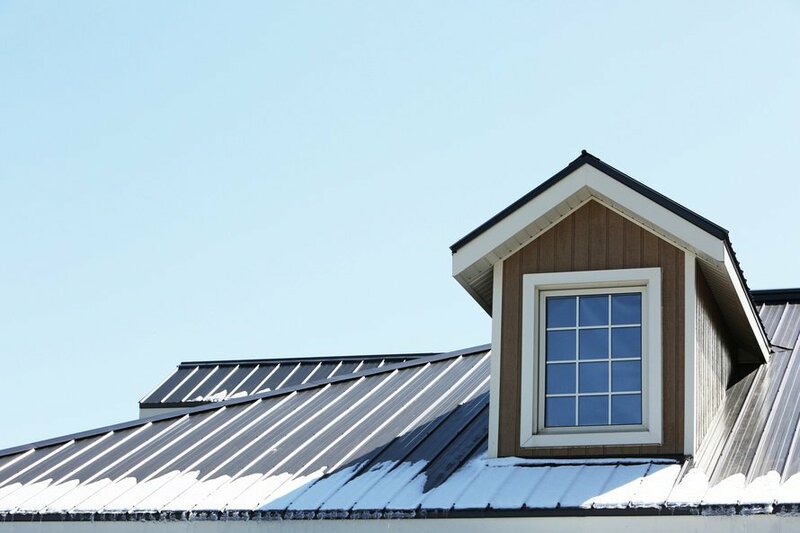 ROOF SLOPE—A steep pitch will reduce your choices of roofing materials. By having a professional evaluate the pitch, you can make a more informed decision about appropriate roof products and styles. CLIMATE—If you live in a damp, humid region, algae can accumulate on a roofing surface. To help head off the problem, look for shingles treated with copper or zinc particles, which increase algae resistance. The conventional three-tab shingle is a relatively low-cost roofing material available in a wide assortment of colors. When shopping, pay attention to warranty length, which may vary from 20 to 40 years, and to ratings for fire resistance (A-rated offers the best protection). This product uses the same material as standard asphalt shingles but offers a thicker, more substantial look that can resemble slate or wood shakes. Architectural shingles are somewhat more expensive than standard shingles but tend to be easier to install. Ask about premium laminate shingles, a recent innovation that comes in even more color and texture choices, backed by warranties up to 50 years. Unlike wood shakes, which have a rough and varied appearance, wood shingles are smooth and uniform. A wood shingle is usually cut from cedar, though pressure-treated southern yellow pine is also popular. This choice is more expensive due to higher material and installation costs, but wood shingles should last 30 to 50 years. A properly installed metal roof should last as long as your house, providing complete protection from the elements. Metal resists fire, mildew, insects and rot. Warranties vary widely, but most companies back their products for 20 to 50 years. Metal roofs do have some drawbacks. The pitter-patter of rain and hail can make a metal roof sound like a drum, and hail and other wear and tear can dent and mar the surface. Prices can exceed those of more conventional materials, but you might come out ahead if you stay in your house for a long time. Clay tiles, which originated as early as 3,000 B.C. in China and the Middle East, remain a popular roofing material. Concrete roofing tiles, made from cement and sand, developed in recent years as a cheaper and lighter-weight alternative to clay tiles. Concrete and clay tiles have very similar qualities and benefits, although concrete is somewhat more resistant to shattering. Both are highly resistant to extreme temperatures, high winds, hail, earthquake and fire—and can last 100 years. Considered by many to be the most stylish and sophisticated roofing materials, natural slate comes in a wide range of colors, textures and quality levels. With proper installation and maintenance, a natural slate roof can last indefinitely. Many roofs are not structurally designed to handle the heavy load of slate, so before installing a slate roof, be sure your home can support it. The cost of materials as well as the need for skilled installation typically makes slate the most expensive roofing material. Remember, a roof is a long-term investment. By gathering some expert advice up front, you can make a sound choice that will protect and beautify your home for years to come.